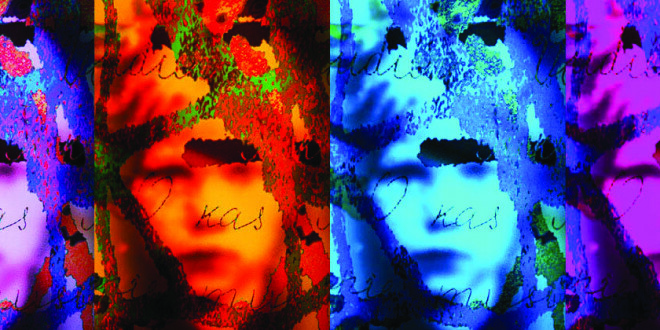 Dr. Andrius Plioplys’ light sculpture series, “Siberia Souls” . 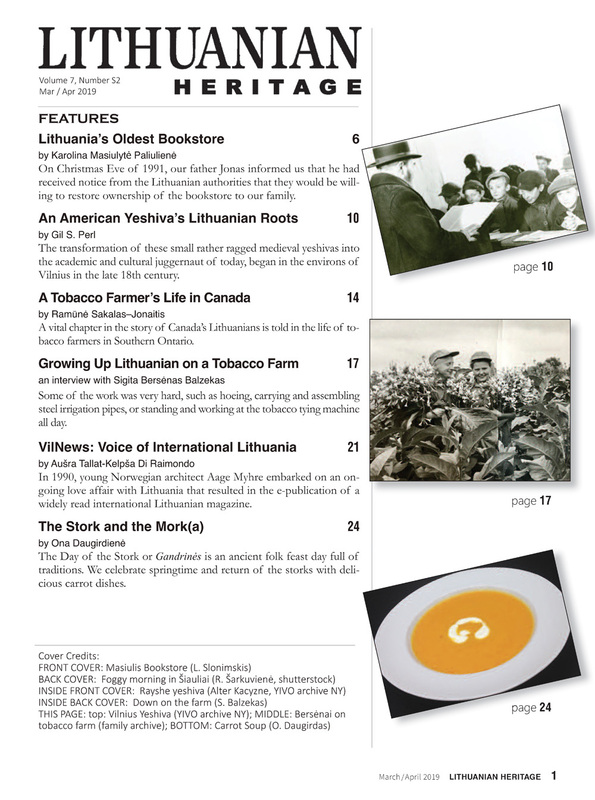 This June marks the 75th Anniversary of the beginning of Stalin’s deportations of Lithuanians to Siberia. During the night of June 14, 1941, thousands of unsuspecting Lithuanians were awakened from their sleep and arrested for deportation. Many were unable to take anything with them. Crammed into cattle cars, women, children, and the elderly, were sent to remote Siberian villages; the heads of families were sent to prison camps. More than 18,000 Lithuanians were deported during the first week alone. More than 130,000 Lithuanians were deported to remote areas of the USSR, including Siberia, the Arctic Circle and Central Asia. Over 70% of the deportees were women and children. Thirty thousand Lithuanians died as a result of slave labor and starvation. In addition, 150,000 were sent to the Gulags, Siberian concentration camps, where many died. These numbers were tragic for a country the size of Lithuania, having a population of only some three million at the time. Stalin’s forces committed similar atrocities across all of Eastern Europe, numbering upwards to 20 million victims. The number of deaths as a result of Stalin’s brutality far exceeded those of Hitler. Stalin’s death machine functioned at the same time as Hitler’s, and often in the same geographic area, but Stalin was responsible for many more deaths. Why were these innocent individuals and families deported and murdered? Many owned small family farms. Their independent spirit and patriotism challenged the Soviet system. This was politically motivated genocide. The fact that the public, especially in the U.S., is not fully aware of Stalin’s brutality, while being knowledgeable about Hitler’s, is a serious historical imbalance which needs to be corrected. There is also an imbalance of justice. The perpetrators of Hitler’s killings have been apprehended and tried, while Stalin’s henchmen have not faced any tribunal to account for their treachery. Perhaps, some day, history will judge them in retrospect. The Hope and Spirit program was organized to address this imbalance. It is a multi-faceted, interdisciplinary project that began at the Balzekas Museum of Lithuanian Culture in Chicago and continues to be developed. Its purpose is not only to commemorate the victims of Stalin’s atrocities, but more importantly, to educate the general public about these horrific events. The Hope and Spirit project was dedicated to the 20 million victims of Soviet atrocities, who suffered the brutality of genocide, and the injustice of the subsequent denial of their victimization. Those, who survived deportations and life in Gulags, did so due to the strength of their spirit, the force of their will and unflagging hope. Thus the title — Hope and Spirit, is a testimonial to the human spirit. The initial part of the project was the collection and display of letters and photographs dealing with the deportations. Overall, the Hope and Spirit project encompassed many other exhibits, lectures, and personal reminiscences. Hope and Spirit Exhibit at the Balzekas Museum of Lithuanian Culture. Among them was original material collected by Elena Juciūtė. She was a high school mathematics teacher in Pilviškiai, the city near which the Plioplys homestead is located. When she saw the Soviet atrocities, she decided to aid the resistance by doing paperwork. She was caught, sent to a Siberian hard-labor Gulag for eight years, followed by several years of hard labor in a Lithuanian prison camp. She eventually emigrated to the US, bringing many original materials about the Siberian deportations. 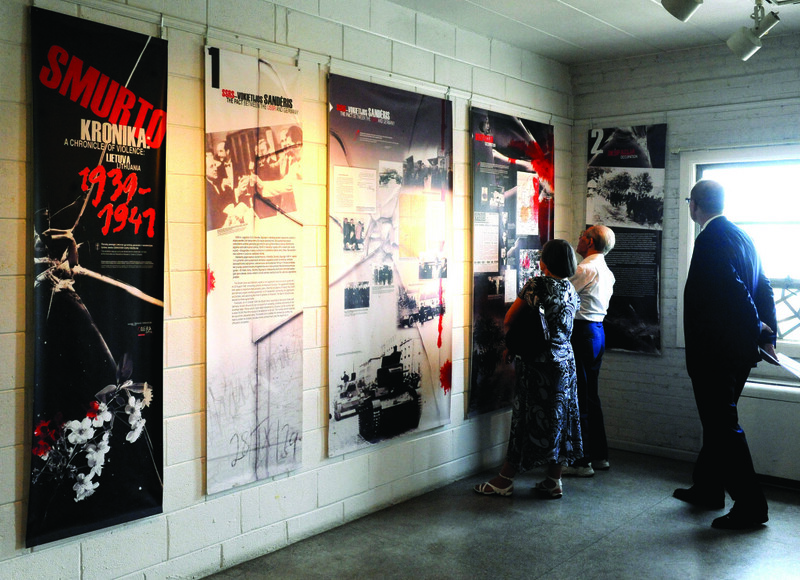 The exhibit was supplemented by 18 historical posters, entitled Chronicle of Violence, which was acquired from the Genocide Research and Resistance Center in Vilnius, Lithuania. This presented additional documentary and visual materials about the deportations to Siberia, in both English and Lithuanian. The most moving part of the program was the collected personal presentations by those who were deported to Siberia as children: Kęstutis Kepaturis from Hamilton, Ontario; Rimantas Mackevičius, Wesley Adamczyk and Irena Valaitis, all from Chicago. Mr. Adamczyk is the author of the award-winning book, When God Looked the Other Way. His father, a Polish army officer, was one of the victims at the Katyn massacre. Over 50 children across North America participated in an art contest entitled: “What my parents and grandparents told me about deportations and life in Siberia.” The contest was a meaningful learning experience for the children. Growing up in North America, children of Lithuanian descent are steeped in local culture and history but not enough is being taught about these recent tragic events. 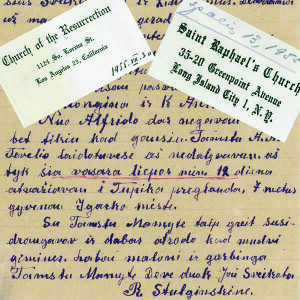 Neila Baumilienė, director of the Alexandra Kazickas Lithuanian School in Riverhead, NY, submitted essays about the deportation experience written by her students. A recurrent theme in their family stories was that their forefathers had come to the U.S. for economic reasons in the 1920’s. 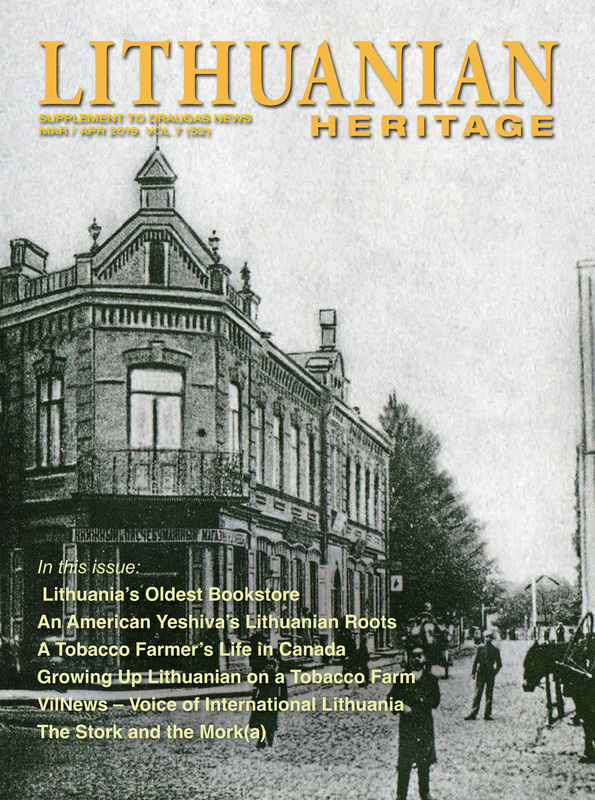 Many then returned to Lithuania, purchased farms and were productive citizens. However, after the Soviet occupation, their land was confiscated, and they were deported to Siberia. Two panels were dedicated to Aleksandras Stulginskis, President of Lithuania, who was deported to Siberia. 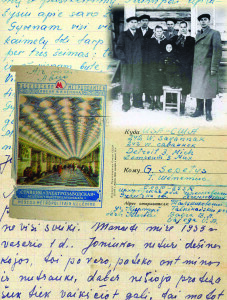 This display of letters and photographs was prepared by his granddaughter, Ramunė Račkauskas. Juozas Kazlauskas was deported to Siberia as a child with his mother. In the 1980’s, when travel restrictions were liberalized, he and others returned to the deportation sites to make a photographic record of what transpired there. Over 50 of his original iconic images were displayed in the Hope and Spirit exhibit. When first displayed in Lithuania, his photographs caused a sensation — they documented neglected gravesites with unearthed bones of deceased adults and infants. In response, the Soviet authorities attempted to quickly clean them up. Kazlauskas’s photographs speak for themselves — silent witnesses to the tragic deportations. Another section of the exhibit displayed present-day photos from Siberia. 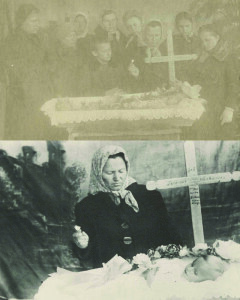 These were a photographic record from “Mission Siberia.” Every year a select group of Lithuanian students travel to the lands where Lithuanians were deported. They tidy up their cemeteries, clear the brush, mend wooden crosses, but most importantly, they experience first hand the harsh conditions faced by their countrymen in Siberia and meet and converse with any survivors. When they return home they share their experiences with high school students and the press. There were a series of book presentations. Timothy Snyder, Professor of History at Yale University, presented his widely acclaimed Bloodlands: Europe Between Hitler and Stalin. The Armonas family presented the 50-year Anniversary re-publication of Leave Your Tears in Moscow by Barbara Armonas and How I Became a Comrade by John Armonas. Children of Siberia, was also presented—in attendance were four of the authors. Ellen Cassedy presented her book about the Lithuanian Holocaust, We Are Here. Ruta Sepetys and her best-selling Between Shades of Grey was well received. 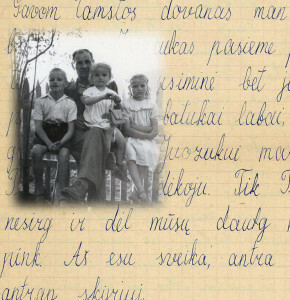 The suffering of displaced persons was addressed in the course of Jūratė Kazickas’ presentation of her father’s, Juozas Kazickas’, book Odyssey of Hope. 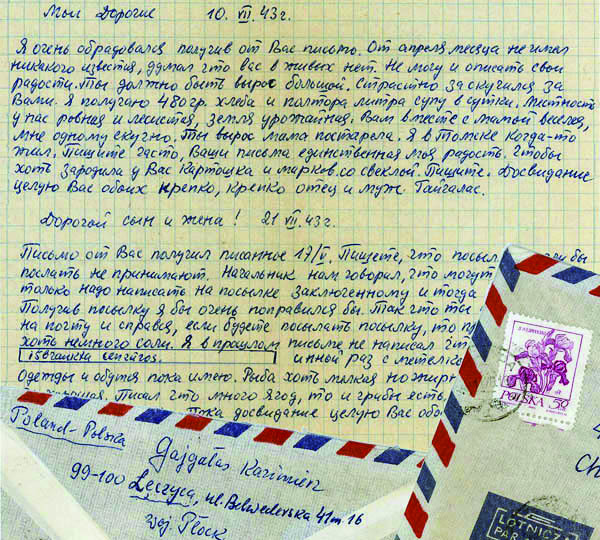 I discovered three previously unpublished poems written by a woman in Siberia. She had been a schoolteacher deported to the Sajana Mountains just west of Lake Baikal. The poems, which were written between 1953 and 1955, were sent to an acquaintance in Montreal, Quebec. We had them published in the Lithuanian paper “Draugas” with a full page dedicated to their analysis. These poems later served as the basis for an evening of poetry from Siberia. Another event Songs from Siberia was presented by Audronė Simanonytė. She was assisted by Julija Sakalaitė-Paukštienė and Aldegunda. 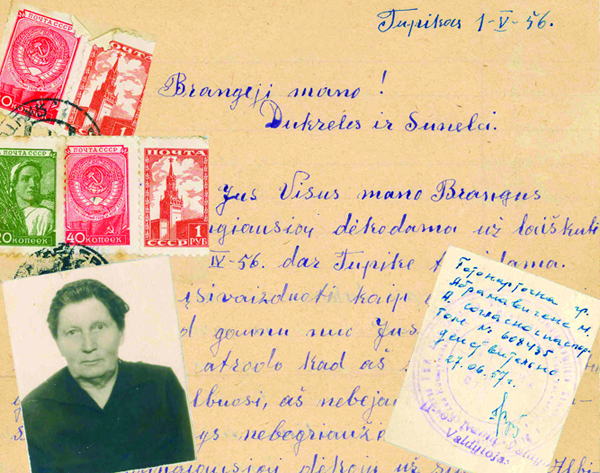 During her deportation, Ms. Simanonytė’s mother collected songs, which were performed at this presentation. The main purpose of the Hope and Spirit project was to educate the general public about Stalin’s atrocities. In that regard, this program was a success. The Lithuanian press covered this program extensively, but so did the local media. “The Southtown Star” provided front page coverage with a two-page illustrated article, the Southside “Beverly Review” reported on the exhibit, the weekly Chicago magazine “StreetWise” also had frontpage coverage with a well-illustrated six-page article. The city’s premier daily the “Chicago Tribune” devoted two full pages to the program. National Public Radio station, WBEZ, produced an eight-minute report which was periodically broadcast on its “All Things Considered” program. During its annual meeting, the American Historical Society requested a personal lecture and tour of teh exhibit. A bus from downtown brought a delegation of interested historians. A similar lecture and tour was given to the Board of Directors of the Illinois Humanities Council. I also gave a lecture to 300 high-school students at St. Rita High School. Over 5,000 students watched it by video-link across the Augustinian high school system in the U.S. This talk was registered as one of the events of the European Union Parliament’s commemoration of Stalin’s victims. Hope and Spirit was incorporated into the University of Chicago’s Soviet Arts Experience as one of their three exhibits—the other two being the University of Chicago and the Art Institute of Chicago. I have been invited to give presentations about the Hope and Spirit project to the Madison-Vilnius Sister Cities annual ball in Madison, Wis., on May 7, and at the bi-annual meeting of the Association for the Advancement of Baltic Studies on May 27 in Philadelphia, Penn. While the exhibit was on display at the Balzekas Museum, I was at the museum almost daily. 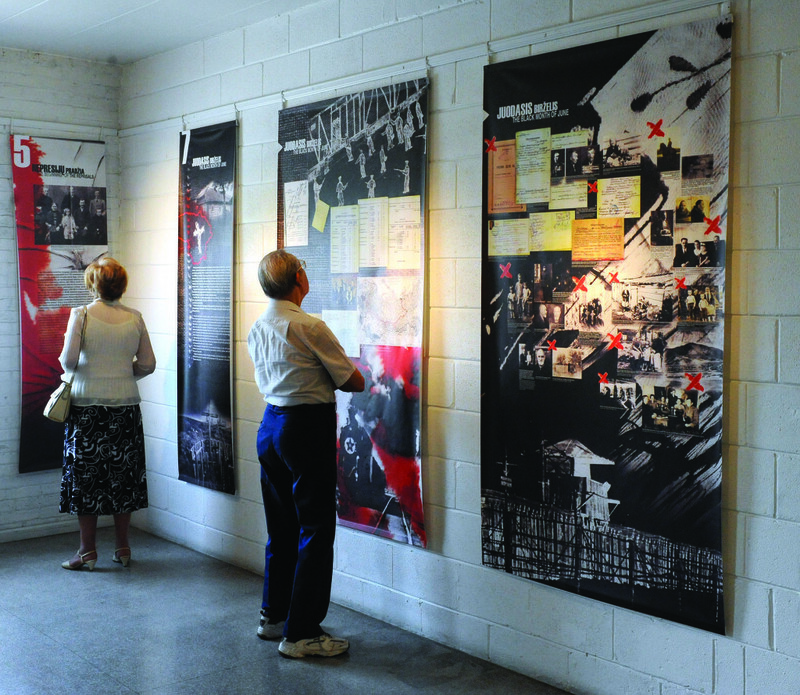 There were always visitors in attendance viewing the displays and seeking additional information. Director of the Balzekas museum, Rita Janz, who has extensive working relationships with many of the ethnic museums, reported that the Hope and Spirit exhibit received more press coverage than any other exhibit sponsored by an ethnic museum in Chicago. This is due to the support the exhibit received from Kristina Lapienytė and Skirmantė Miglinienė of the Lithuanian Research and Study Center and Rita Janz, Sigita Balzekas and Stanley Balzekas, Jr. of the Balzekas Museum. I am very grateful to everyone who helped make Hope and Spirit a success. Current Russian militaristic nationalism, essentially a recast version of Stalinism, is reasserting itself. We need only note Putin’s recent aggression against neighboring Georgia and Ukraine. Most ominous are the continuing threats against neighboring European countries and the brazen discussion of the prospective use of nuclear weapons. These recent events confirm the relevance and the ongoing need for projects such as Hope and Spirit. ArtPrize is the world’s largest competitive art exhibit. It takes over the entire city of Grand Rapids, Mich. Siberia Souls has been selected for display at a centrally located venue, the historic Fountain Street Church, which last year had over 17,000 visitors. ArtPrize will take place in September and October, 2016. In collaboration with The American Civil Liberties Union, Fountain Street has organized “Art to Change the World: Inspiring Social Justice.” Art plays an important role as an agent for social and economic justice, and peace in the world. It is an honor to have “Siberia Souls” included in this exhibit. Most importantly, much of the program is available on the Hope and Spirit website: www.HOPEandSPIRIT.net. Take a virtual tour — you can walk through it, taking in all of the items on display.